Who Can Edit and Delete Responses? By default, System Admins can edit and delete all responses to all surveys and Survey Admins can edit and delete responses to the surveys they create. You can allow Survey Admins to edit or delete responses for surveys they didn’t create by following the steps below. You can allow Report Admins to edit or delete responses by following the steps below. 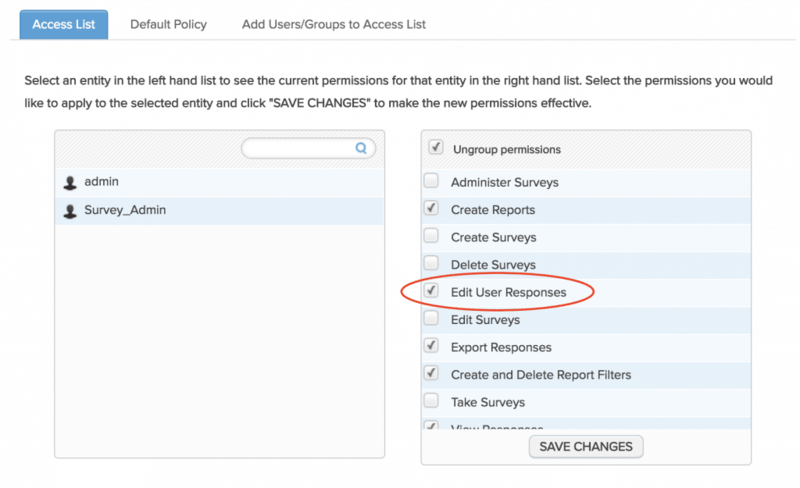 Survey Editors, Report Viewers, User Admins, Group Admins, and Respondents cannot edit or delete responses. 1. 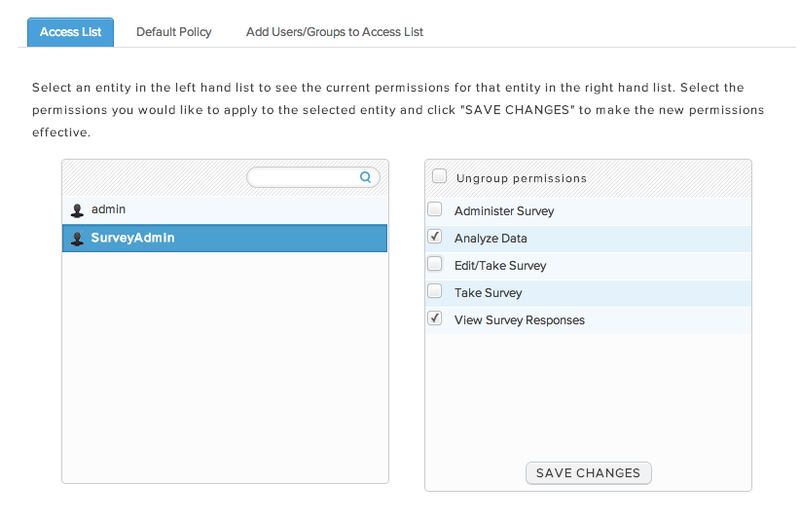 From the Survey Editor, click “Configure” button, then choose “Permissions & security” tab. 2. Click “Show Advanced Settings” to open up the “Access List”. Click “Add Users/Groups to Access List” and select “Survey Admin” or “Report Admin” you want to give access to. 3. Click over to the “Access List” tab and check off “Analyze Data” and “View Survey Responses”. This step allows the user to view and export responses, but not edit or delete them. Click “Save”. 4. 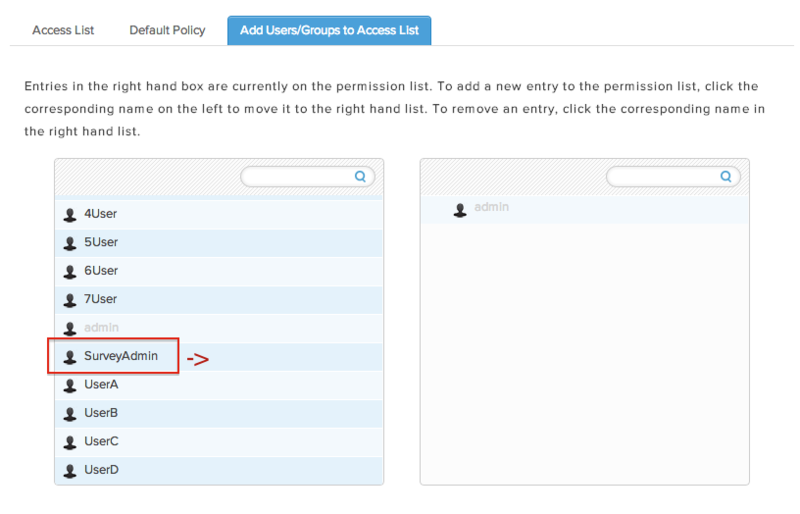 Choose the “Ungroup permissions” option. Check off the “Edit Users Responses” option. This extra step is required to edit or delete responses because of the sensitive nature of those functions. Click Save. Your “Report Admin” or “Survey Admin” will now be able to edit and delete responses.